• Celebrating 13 years of serving the local community, TriStar StoneCrest Medical Center proudly enjoys a strong reputation for providing high quality patient care in a friendly, compassionate, and healing setting. • The 109-bed facility is located just 20 minutes southeast of Nashville, offering a centralized and convenient location for patients and providers. • TriStar StoneCrest offers a full array of acute care services including emergency care, inpatient and same-day surgery, cardiology, center for joint replacement, obstetrics, intensive care, maternity, neurology, orthopedics, physician medicine, women’s health and wellness, the spine surgery institute, outpatient imaging and diagnostic services and cancer care through the nationally recognized Sarah Cannon cancer center. 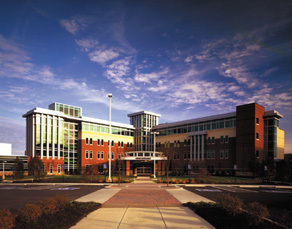 • Experiencing continued community growth and healthcare service demands, Sarah Cannon Cancer Center and TriStar StoneCrest added the TrueBeam™ Radiotherapy System from Varian Medical Systems which is engineered to deliver more powerful cancer treatments with pinpoint accuracy and precision. In addition, TriStar StoneCrest recently invested $1.7 million dollars to renovate the IR suite space, purchased state-of-the-art equipment, and added radiologist to the medical staff. TriStar StoneCrest introduced its new Spine Surgery Institute and Center for Joint Replacement to improve on patient outcomes and provide superior experience for the patients. • In 2015 a TriStar StoneCrest PSG Physician was the first physician to offer endoscopic ultrasound in Rutherford County. • The hospital’s robotic assisted surgery program exceeded initial growth expectations and continues rapid growth to meet local demand. A TriStar StoneCrest surgeon performed Middle Tennessee’s first single-incision gallbladder removal in 2013. • TriStar StoneCrest's highly qualified professionals ensure healthcare excellence in care and outcomes. The active medical staff includes more than 427 board-certified physicians, and clinical staff averages more than 10 years’ experience. 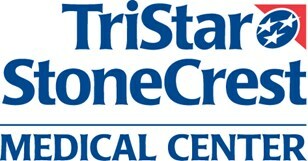 • TriStar StoneCrest employs physicians in six specialties: primary care, internal medicine, cardiology, neurology and urology. Office locations span from Smyrna to LaVergne/Antioch and Murfreesboro. • The town of Smyrna is located in North Rutherford County with a population of about 45,948 Rutherford County's population is more than 295,089. The county has earned the designation as one of the fastest growing counties in Tennessee according to U.S. Census Bureau figures. Smyrna was ranked as one of the Fastest Growing Cities in the U.S. by MSN.com and one of the “Top 10 Best Places to Retire” in September 2015 by the U.S. News and World Report, naming locally available healthcare as one of the reasons. The top county business industries are healthcare, manufacturing, and transportation/logistics. The community offers plentiful housing options, beautiful parks and golf courses, entertainment, dinning, shopping, as well as the largest undergraduate university in the state - MTSU!